For those who aim to fill their homes with the best everyday designer objects, there is a new shopping bible. 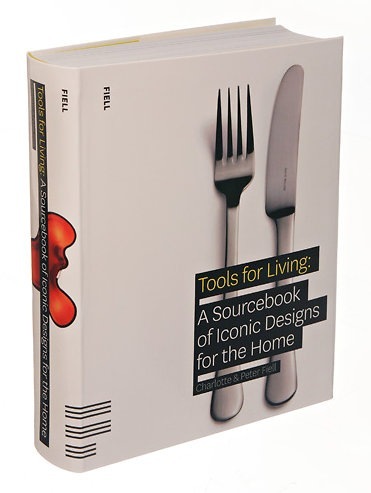 “Tools for Living: A Sourcebook of Iconic Designs for the Home” (Fiell Publishing; $59.95), a 768-page tome to be published next month, tries to identify the most thoughtful, functional, reliable and aesthetically pleasing examples of almost every type of household product, regardless of price. That includes furnishings like chairs and lamps, and utilitarian items like waste bins and toilet brushes. Tools for Living is a book all about ‘ultimates’ – the ultimate things designed for the home – from chef knives and pots and pans, to door handles and bathroom taps, to home-ofﬁce furniture and garden tools. Well-designed objects not only have superior performance but also look better and last longer, which ultimately means that they are more sustainable and provide better value for money. They also give the user a satisfying sense of reliability – they are the household tools that we use on a daily basis, which enhance life. Manufacturers’ web addresses are shown for each product, so readers can easily ﬁnd where to buy them. The introductory essay explains why Good Design for the home should be an important feature of our daily lives and how it makes sense not only for aesthetic and functional reasons, but also for economic and environmental reasons too. An essential sourcebook for all design lovers! Charlotte and Peter Fiell are leading authorities on 20th and 21st century design and have written and edited over 30 internationally bestselling books on the subject. They have just founded their own design-led publishing company, FIELL, to publish their own books as well as other titles by other specialist authors. To have a peak inside the book click here.